San Diego six-footer Charley Hoffman may not be a Masters legend in the eyes of the golfing public, but he’s well on the way to such status in the eyes of first-round leader bettors at the year’s first Major and he arrives at the tournament in excellent nick. Hoffman has been priced up as an also ran 100/1 in the outright betting at Augusta, but a bullet-from-a-gun opening 18 is evidently expected from the 42-year-old in Georgia. He’s priced him up at just 25/1 to top the leaderboard come close of play on Thursday, odds that won’t be beaten anywhere before the first round tees off. You won’t find a better price than William Hill’s on markets including first-round leader and outright winner between now and the first stroke. Why the big difference between his outright and first-round leader odds we here you query? Scroll down golf fan. If the Augusta Major was only a round long, the four-time PGA Tour winner would already have a Green Jacket amongst what is doubtless a very reasonable collection of sports coats in his closet. Since 2015, Hoffman is 16 under par across four runs through the opening 18 holes among the florid surrounds of the former Georgia plant nursery. Only three-time Major winner Jordan Spieth (himself a 22/1 shot for the first-round lead) has fared better across the opening round during that timeframe. Hoffman finished T2 behind Spieth on Thursday in 2015, held the clubhouse lead on the same day two years later and held a share of fourth behind Spieth, Tony Finau and Matt Kuchar at the close of the first-day’s play 12 months ago. His first-round scores across those three Masters tournaments were 67, 65 and 69. This man bounces from the blocks at Augusta and there’s little doubt he’s in the kind of fettle to set off like a scalded cat again this week. Up until recently, the man from San Diego was a resident of the golfing doldrums, failing to make the cut in six of the eight PGA Tour events he entered between November 2018 and the Players Championship. However, he’s found some form over his last couple of outings, finishing T18 at Valspar (where he carded two rounds in the 60s), followed by a solo -18 second last time out at the Valero Texas Open. 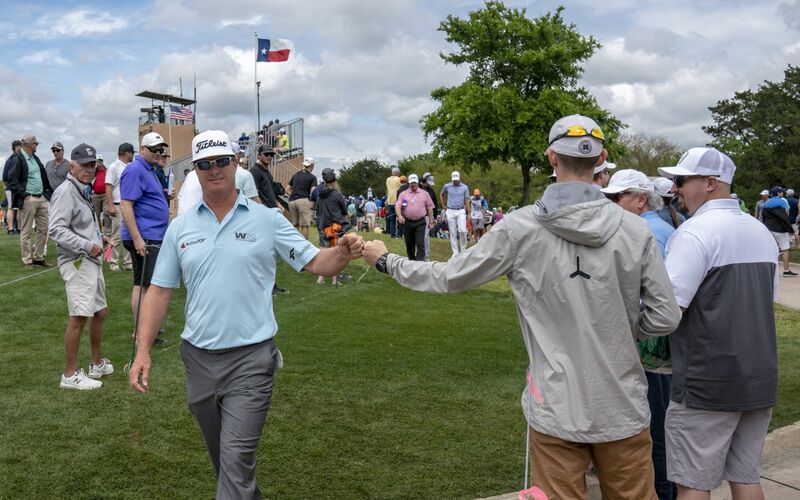 Hoffman scribbled a 68, a 64 and a 67 across the last three days in the lone star state, meaning he arrives at Augusta in the kind of mood to do his first-round leader betting backers proud.